What a great week to celebrate progress in the development of the Ports-to-Plains Corridor. The Texas Department of Transportation cut the ribbon on the southern half of the new relief route in Big Spring, Texas. The project cost more than $62 million and was the largest single project constructed by the TxDOT Abilene District when it was let. It is significant to note that the project came in on budget and was completed 8 months ahead of schedule. 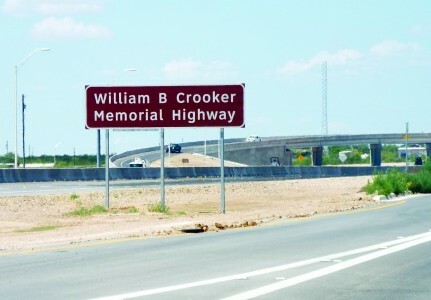 The relief route is named the William B. Crooker Memorial Highway for the late long-serving Howard County Commissioner and Ports-to-Plains board member. It is a truly deserving honor for a great visionary leader who was dedicated to seeing his community grow, and saw Ports-to-Plains as a key to the region’s future. It was also great to see two other original Ports-to-Plains board members at the ceremony in US Rep. Randy Neugebauer and State Sen. Kel Selliger. A big thanks to State Rep. Drew Darby, who along with former Texas Transportation Commissioner Fred Underwood who were instrumental in bringing this project to fruition. This is one of more than a billion dollars in projects that have been completed in upgrading the Ports-to-Plains Corridor over the past few years. And we are not stopping now. With hundreds of millions of dollars in projects currently under construction, and more on the way. In fact, the northern half of the William B. Crooker Highway is set to be let this fall with construction likely to begin in January. It will be the largest single construction project in the Abilene District. And thanks to you, the members and supporters of the Ports-to-Plains Alliance. Your cooperation and commitment to the Coalition is the key factor in achieving these accomplishments. A River Runs Through It… San Angelo, Texas is gearing up to host the Ports-to-Plains Alliance on September 13-15, 2016. San Angelo is looking to provide the most interesting, educational and fun conference in the nineteen years of the Alliance. Take a look at the speakers already committed. Add to that an international audience with which you can network. Pile on top of that some exciting events including a laser light show and an evening at Miss Hatties including a casino night with prizes. Give Duffy Hinkle (806-775-3373) a call if you are interested in an exhibit space during the conference. The Texas Department of Transportation, Howard County, City of Big Spring and the Big Spring Chamber of Commerce hosted the Grand Opening of the U.S. 87 William B. Crooker Memorial Highway marking the completion of construction on the southern portion of the truck relief route near Big Spring along the Ports-to-Plains Corridor. After three years of construction, this southern portion of the entire truck relief route was completed eight months ahead of schedule. This U.S. 87 Ports-to-Plains Corridor ran through downtown Big Spring and its traffic is approximately 30% trucks, which creates traffic congestion. The new US 87 Truck Relief Route will allow vehicles on the Ports-to-Plains Corridor to travel at speed with less congestion while still allowing access to downtown Big Spring through Business U.S. 87. This 8.5 mile relief route was named the William B. Crooker Memorial Highway in honor of the long-time Howard County commissioner and Ports-to-Plains Board Member and advocate. The project cost $51 million including funding from the federal government, Texas Proposition 12 and 14 funding. The construction of the 7.5 mile northern leg is expected to begin construction later this year at an estimated cost of $67 million. The Board of Directors of the Ports-to-Plains Alliance took a major step in expanding the understanding and impacts of the Corridor. The Alliance finalized agreements with Richard “Buzz” David to join the Ports-to-Plains team with a scope of work supporting the Economic Development Assistance and Business Membership Development. Buzz has been involved in economic development for three decades and most recently for Amarillo Economic Development Corporation (AEDC) since 2004. Buzz is very familiar with the Ports-to-Plains Alliance serving on the Ports-to-Plains Alliance Board of Directors during his time in Amarillo. During Buzz’ tenure, AEDC completed more than 40 expansion projects and attracted seven corporations including seven Bell Helicopter expansions. The Economic Development Assistance will include design and implementation of a plan of work for the Ports-to-Plains Alliance Economic Development Coalition to include getting the interested economic development organizations (EDO's) registered on the Coalition website, organizing Coalition meetings in conjunction with client meetings, and developing Coalition marketing initiatives. Business Membership Development will include the design and implementation of a business membership program focused on bringing private sector members into the Alliance to broaden and diversify the membership base. Diversifying the Ports-to-Plains Alliance membership will create a stronger base and increase the Alliance’s advocacy efforts. In addition to hiring Buzz David, the Alliance took a second major step into strengthening its communication strategy. 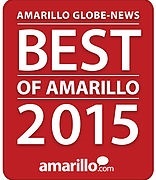 The Board of Directors agreed to a proposal by Double U Marketing of Amarillo. The goals of the proposal were to create new messaging for business membership categories, increase the awareness and visibility of the Alliance, tell the Ports-to-Plains story including educating new members and attracting and sustaining membership. Double U will be creating collateral materials focused on the target audiences and develop publication materials for key industry and trade publications including: Equipment Today, WDI Wholesale and Distribution Magazine, Oil and Gas Journal, AWEA Directory and Guide, and American City and County. The Alliance expects to hold events along the corridor, hosted by local Chambers of Commerce. Quarterly, new releases will be created that highlight successes along the entire corridor. The Alliance will also expand its presence at trade shows allowing our members to join in cooperative marketing at events such as the World of Concrete USA, Northwest Agriculture Show, World Ag Expo, ConExpo and International Construction and Utility Equipment Exposition. The FAST Act creates new opportunities for the funding of freight corridors. To take full advantage of these opportunities, a corridor must be designated as part of the two new freight networks established in the FAST Act -- the National Highway Freight Network (NHFN) and the National Multimodal Freight Network (NMFN). 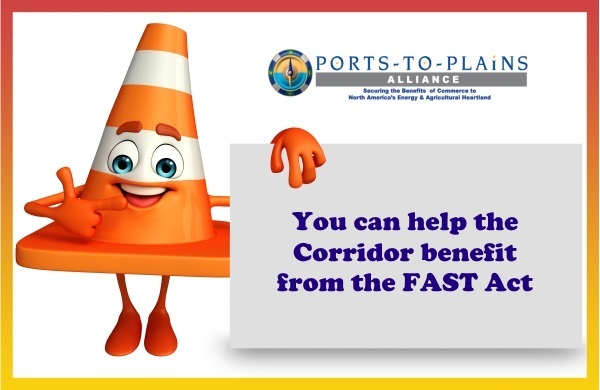 To be eligible for formula funding under the new National Highway Freight Program and discretionary funding under the Nationally Significant Freight and Highway Projects Program (FASTLANE), a corridor must be part of the NHFN. To become part of the NHFN, a rural corridor like the Ports-to-Plains Alliance Corridor must be designated by the state as a “critical rural freight corridor,” and the state must certify to the Federal Highway Administration that it meets the requirements of the FAST Act. Each state may designate up to 150 miles, or 20 percent of the primary highway freight system mileage in the state, whichever is greater, as critical rural freight corridors. Therefore, it is important that the Ports-to-Plains Alliance Corridor be designated as a “critical rural freight corridor” by each state that the corridor traverses. The FAST Act also creates a NMFN, to be established by the Under Secretary of Transportation for Policy in the Office of the Secretary. This multimodal network will be used to help guide federal and state freight investment. To become part of the NMFN, a rural corridor like the Ports-to-Plains Alliance Corridor must be designated by the state as a “critical rural freight corridor or facility,” and the state must certify to the Under Secretary that it meets the requirements of the FAST Act. Each state may designate up to 20 percent of the total multimodal mileage in the state, as determined by the Under Secretary, as critical rural freight corridors or facilities. While this designation is similar to the designation of a critical rural freight corridor discussed above, it is different and requires a separate designation by the state. Therefore, it is also important that the Ports-to-Plains Alliance Corridor be designated as a “critical rural freight corridor or facility” by each state that the corridor traverses. urge the FHWA in the case of the NHFN, and the Under Secretary of Transportation for Policy in the case of the NMFN, to give special consideration to multi-state corridors like Ports-to-Plains, especially multi-state corridors made up of congressionally-designated high priority corridors and critical to international freight movements. This effort must be timely and must meet all deadlines established by the USDOT and the state DOTs. This effort should include formal submissions by the Alliance, grassroots contacts in each state, and public media outreach. Congressional delegation support will also be pursued. Watch for additional information on how you can help with this effort. A new report on the U.S. vehicle fuel efficiency standards from 2012 says manufacturers are well on their way to meeting stiff 2025 requirements for average fuel-use reductions, and that may have strong implications for how Congress funds future highway and transit construction and safety programs. The largest sources of revenue for the Highway Trust Fund and for state transportation programs are excise taxes on gasoline and diesel fuel, which many consider user fees. However, the report shows that car and light-truck makers are quickly adding to the nation's fleet of higher-efficiency vehicles that burn less fuel, which means they generate lower average trust fund receipts. 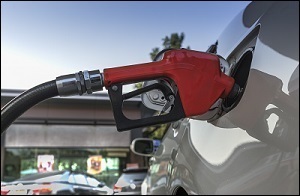 So even though total U.S. gasoline consumption and vehicle miles traveled have increased the last two years amid low pump prices, the addition of more fuel-stingy vehicles to the nation's fleet will see a fast-growing number of drivers able to travel more miles per gallon but paying less per mile in fuel fees to fix the infrastructure they use. “That $1.2 billion in tax money, that goes away — money that’s used to build schools, make communities better and fill the state’s coffers,” said Tom Clark, the CEO of the Metro Denver Economic Development Corp. and the executive vice president of the Denver Metro Chamber of Commerce. Ballot proposal No. 78, which calls for expanding Colorado’s existing 500-foot buffer zones around oil and gas operations to 2,500 feet, would be the death knell for an industry already reeling from a two-year bust in commodity prices if approved by voters in November. That's the conclusion of a new report Thursday on the economic impact of the ballot proposal, which the state agency charged with overseeing oil and gas operations in Colorado said in May would ban new oil and gas wells from 90 percent of the land in the state. The new study by the University of Colorado’s Leeds School of Business and released Thursday focused on the economic consequences of that ban. The impact would be on top of the thousands of jobs already lost during the last two years as oil and gas prices have slid and companies responded by laying off staff, cutting budgets and reducing the number of drilling rigs operating in Colorado. A gap of up to 54,000 fewer jobs, compared to current forecasts, every year between 2017 and 2021, with the gap widening to 104,000 fewer jobs, compared to current forecasts, over 15 years. Lower Colorado’s gross domestic product by an average of $7.1 billion during the first five years and $14.5 billion per year between 2017 and 2031, compared to current forecasts. Strangle the stream of tax revenue, estimated at $1.2 billion in 2014, paid by the oil and gas industry in Colorado as its operations dwindle. On the map of Colorado above, the counties outlined in the dark blue lines are these top 5 oil and gas producing counties. 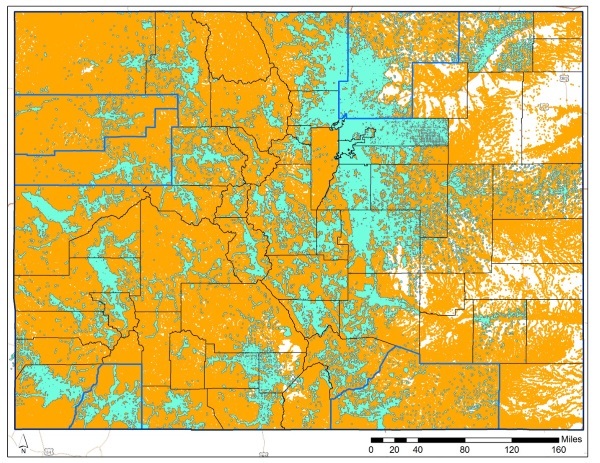 The light blue shaded areas would be off-limits for oil and gas development due to proximity to structures and the areas in gold will be off limits due to proximity to areas of special concern if the ballot initiative were to pass this fall. Only the areas in white could be developed and as you can see, these areas are not located in oil and gas fields. 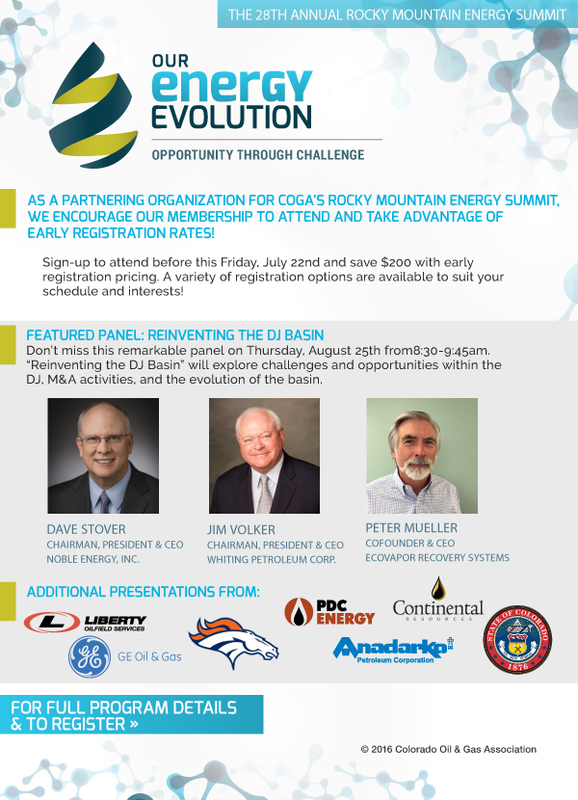 The Ports-to-Plains Alliance is a Partnering Organization for the Colorado Oil and Gas Association's Rocky Mountain Energy Summit. Please consider joining us at this important Colorado conference.